Small robust IP67 LED fitting. Gives a striking horizontal wash of light across wall or floor in one direction. This unusual fitting utilises a specially designed reflector to wash the surface around it in one direction. Milled from a solid billet of stainless steel, it is quite happy being walked over (and it's smooth enough that your feet don't mind either!). 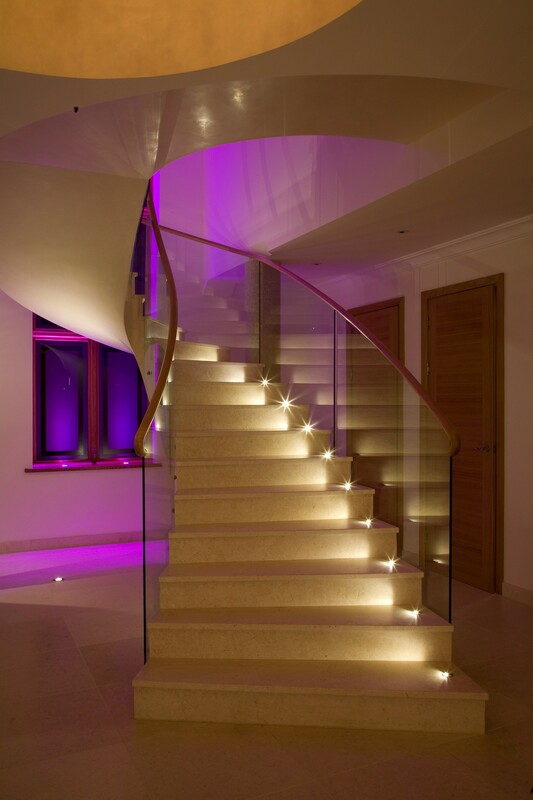 Great for lighting steps or paths, or if used wall mounted, creating an interesting pattern of light on the wall. IP67 rated for mounting onto interior or exterior pathways, staircases and walls., the fitting has an integral anti wicking barrier increases protection against moisture ingress due to incorrect IP rated cable connections. LD65 also available with two apertures for light spill in two directions. Quality of light is excellent and longevity is achieved with very good thermal management. A 50,000 life expectancy and a 3 Year fitting warranty. To get the perfect results you choose the product attributes (eg; output) below. These fittings need a separate driver and you will be taken through to the Driver Options page next. Because you are taken through automatically when you add fittings to the Basket, we suggest that you read the Technical Section below first. This will help you make the right driver choice. For help with all of the product attribute choices please read our Technical Reference Guide (see pdf download below). See the product spec sheet in Downloads for fixing options. If you require an Install Sleeve more quickly than you need the fittings themselves please ask for 'Installation Accessories Advance Shipment' after you've added the fittings to your Basket. How hard the fitting is run. The higher the mA the more light output. 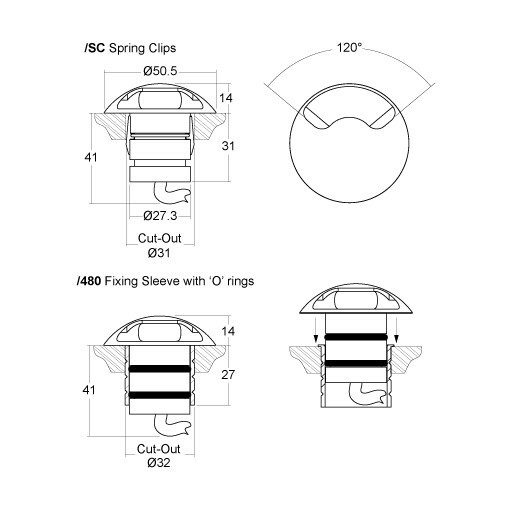 We'll tell you how many fittings you can drive with your driver option on the next page. The colour of light. We use 2700K and 3000K most often. The colour and finish of the bezel. Chose a fixing method appropriate to where the fitting is going. Funky miniature IP67 wall light which generates light around 360°. Great for adding fun and colour to a scheme. This miniature LED fitting uses a specially designed reflect or to wash the surface around it. 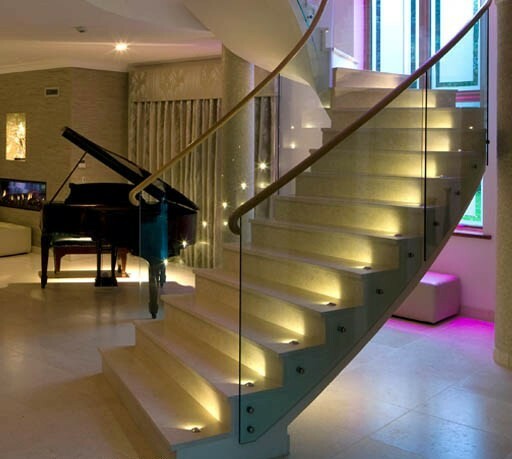 It can be used on walls or cabinets to create interesting effects as well as lighting up steps and staircases, and the colours look fantastic! Manufactured from 316 stainless steel with a specially designed acrylic reflector designed to produce a 360° angle of illumination (LD61), or 360° plus a 25° narrow beam (LD62). New integral anti-wicking barrier increases protection against moisture ingress due to incorrect IP rated cable connections (IP connections are still required). To get the perfect results you choose the product attributes (eg; output, colour etc) below. These fittings need a separate driver and you will be taken through to the Driver Options page next. Because you are taken through automatically when you add fittings to the Basket, we suggest that you read the Technical Section below first. This will help you make the right driver choice. For help with all of the product attribute choices please read our Technical Reference Guide (see pdf download below). Small robust IP67 LED fitting. Gives a striking horizontal wash of light across wall or floor in two directions. 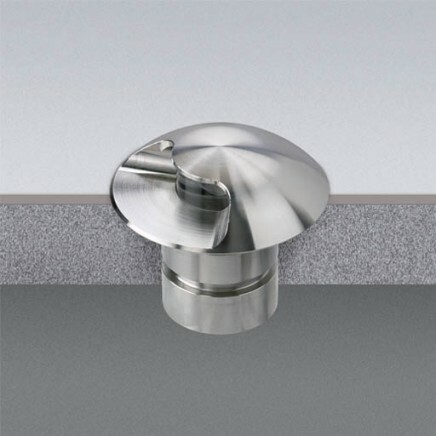 This unusual fitting utilises a specially designed reflector to wash the surface around it in two directions. Milled from a solid billet of stainless steel, it is quite happy being walked over (and it's smooth enough that your feet don't mind either!). Great for lighting steps or paths, or if used wall mounted, creating an interesting pattern of light on the wall. IP67 rated for mounting onto interior or exterior pathways, staircases and walls, they have an integral anti wicking barrier to increase protection against moisture ingress due to incorrect IP rated cable connections. LD64 also available with one aperture for light spill in one direction only. Small, robust LED fitting utilising a specially designed reflector to wash the surface around it in one direction. Milled from a solid billet of stainless steel, it is quite happy being walked over (and it's smooth enough that your feet don't mind either!). IP67 rated for mounting onto interior or exterior pathways, staircases and walls. LD65 also available with two apertures for light spill in two directions. See the product spec sheet in Resources for fixing options. Comes pre-wired with a 2 core 100mm cable. The higher the current (mA) the fitting is run at the more light you will get but the warmer the fitting gets. The fittings should be wired in series, and the cable run between the driver and the fittings shouldn't exceed 10m. The driver should be located somewhere discrete, allowing air movement, and accessible for maintenance. N.B. Please read The Lighting Buyer's Technical Reference Guide for recommendations and watch-outs around different dimming methods and LED wiring.